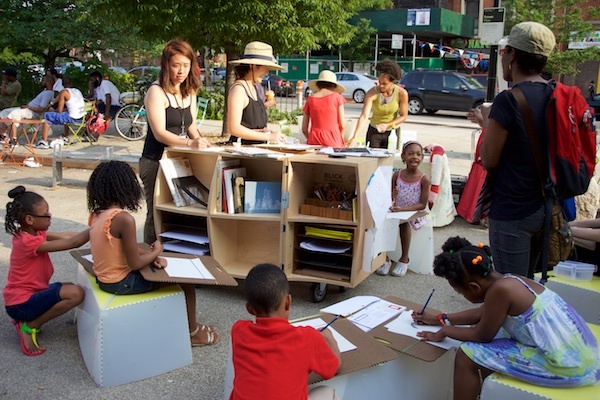 The Uni Project is a nonprofit organization supplying pop-up, open-air reading rooms to the streets, parks, and plazas of New York City. 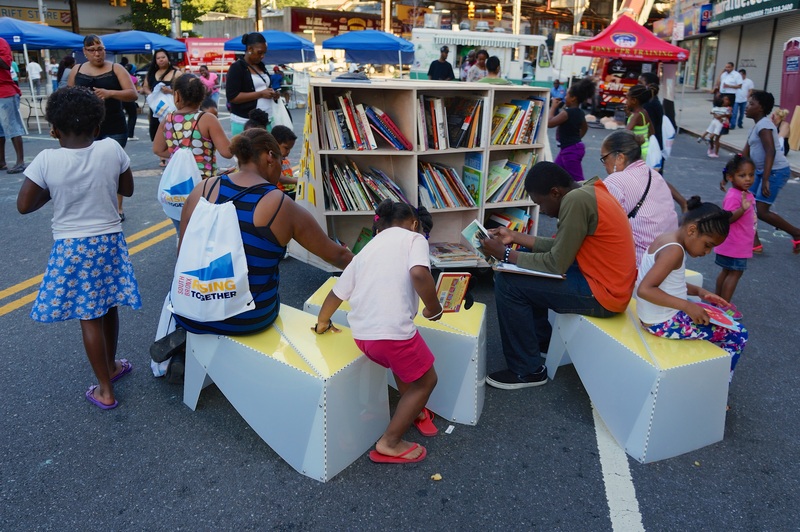 The initiative works to promote a culture of reading and educational experiences in public space while also fostering engagement across various actors (and readers) in the city. The project began in 2011 and was originally funded through a Kickstarter campaign that raised $20,822. Since then, The Uni Project has partnered with a number of neighborhood organizations, institutions, and corporations to help implement over 200 reading rooms worldwide. Locally, the group continues to pick sites all over Brooklyn, Queens, and Manhattan, focusing in particular on underserved neighborhoods. 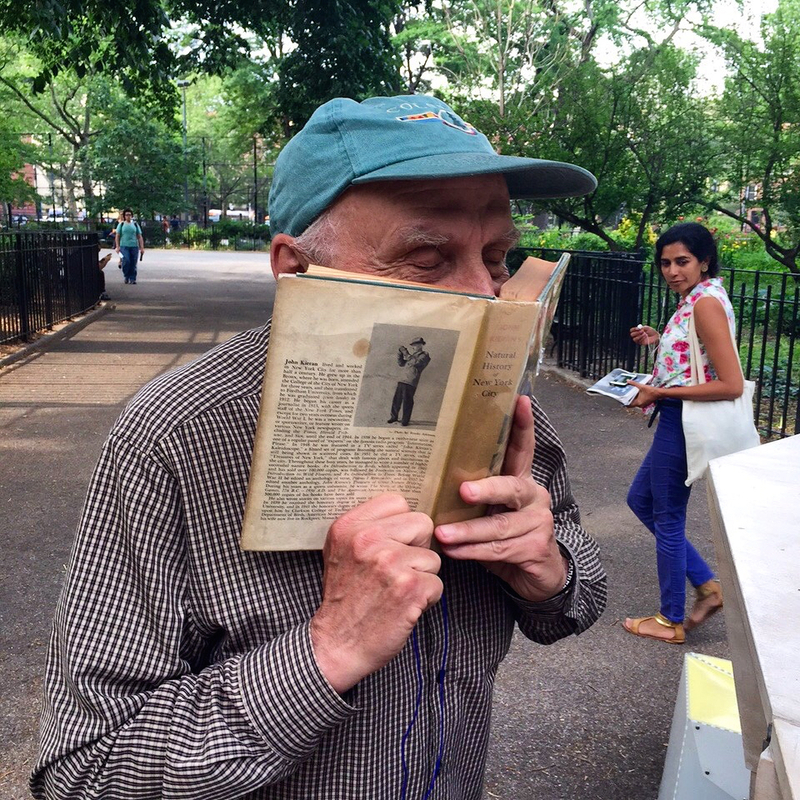 They’ve also partnered with museums, including New York Hall of Science and MoMA, the New York, Brooklyn and Queens public libraries, and schools, who help build The Uni Project’s collections by donating or lending them reading materials. 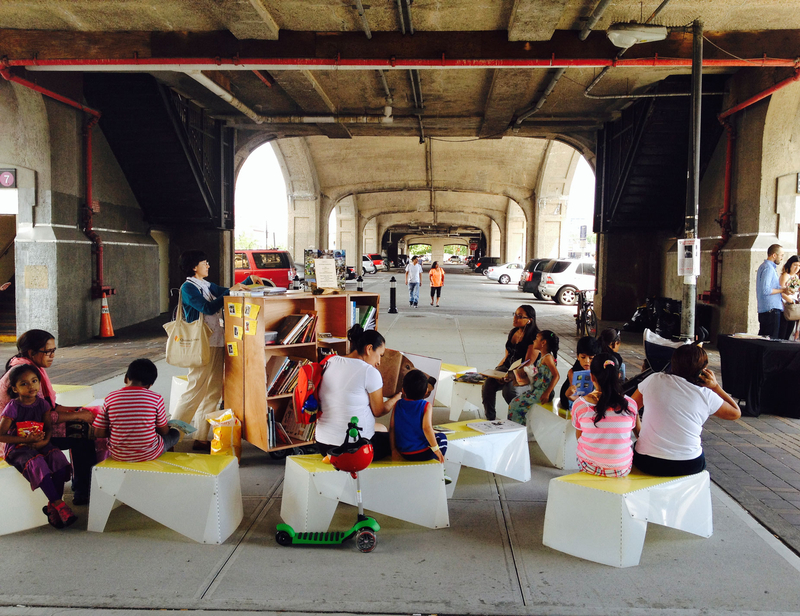 These strong partnerships with BIDS, development corporations, community centers, civic institutions, and volunteers have allowed the Uni Project to execute effective and meaningful Placemaking strategies.